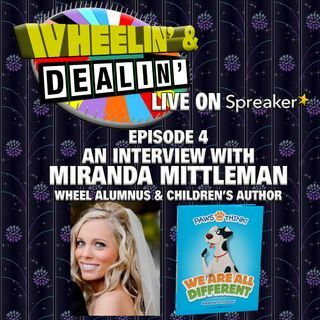 Join Jess and I as we are delighted to have Wheel of Fortune Alumnus Miranda Mittleman on the show. Miranda will be discussing her experience on the show and how she used part of her winnings to publish her own line of children's books. Please give PAWS & THINK a like on Facebook.